It is quite amazing how many different birds use lichens in the conctruction of their nests. Hello Stewart! 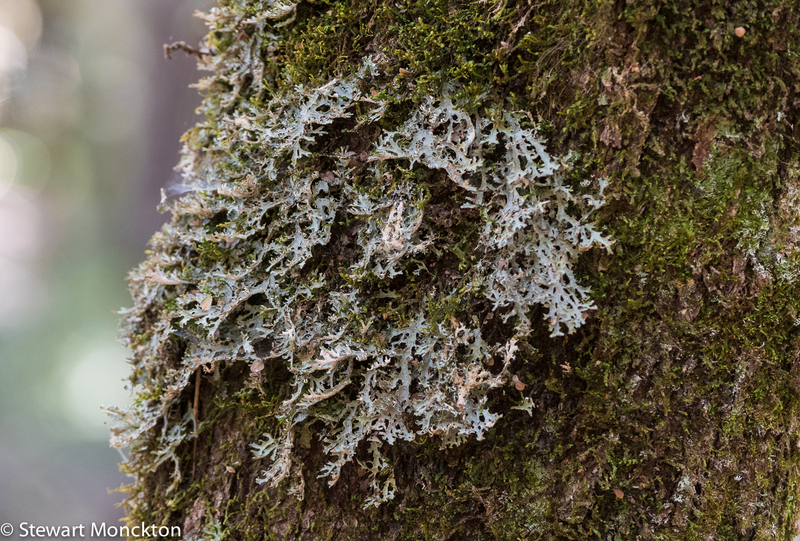 :) Lovely images of lichen. The tall tree trunk with the moss and is very attractively decorated. Are those tiny red toadstools I can see? 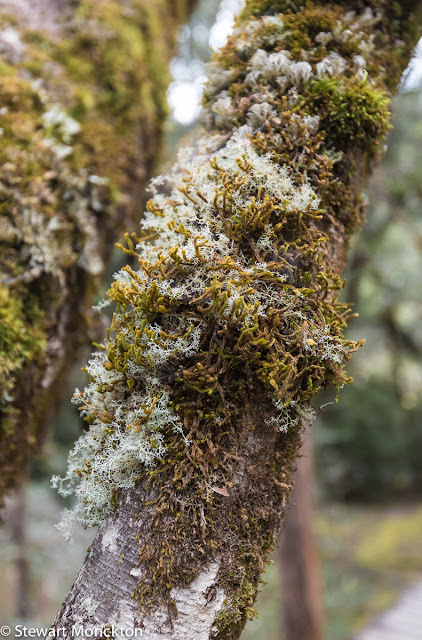 As the air is pure up here on the mountain, and we have had wet conditions, there is lichen in abundance here on the farm. These are interesting and wonderful photos of lichen. I like also that you mentioned about fresh air, it's sometimes so rare. Stewart, you notice things that some people would miss. 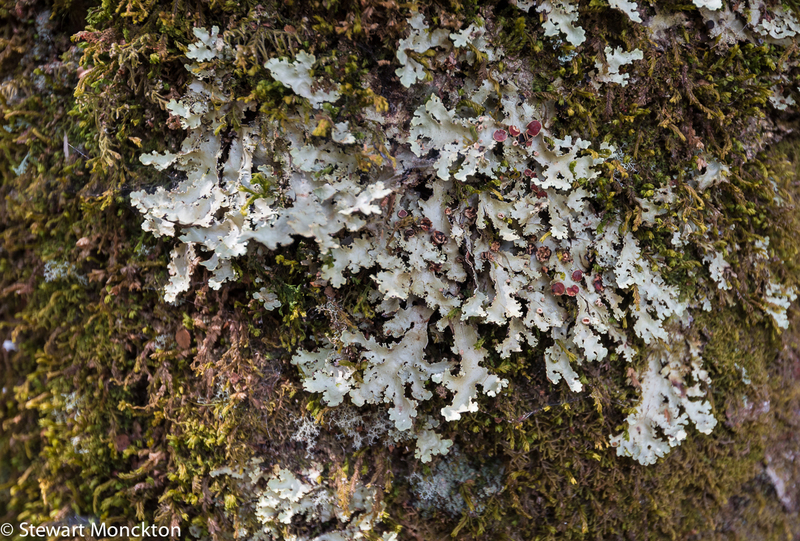 The lichens look beautiful and plentiful for sure. Stewart, these photos of yours are truly magnificent! What an amazing macro world. 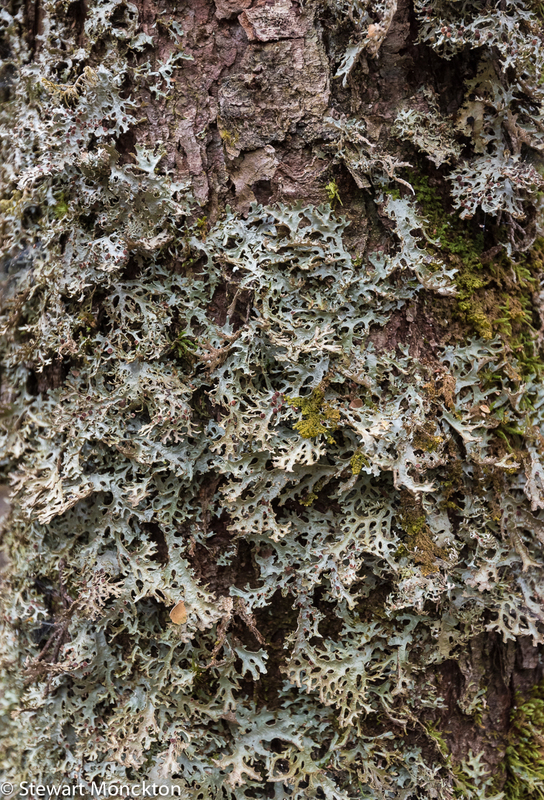 Lichen is not a friend of mine..It has invaded my scalp and a few other places..Lichen plants..No fun..no cure..Great pictures though. 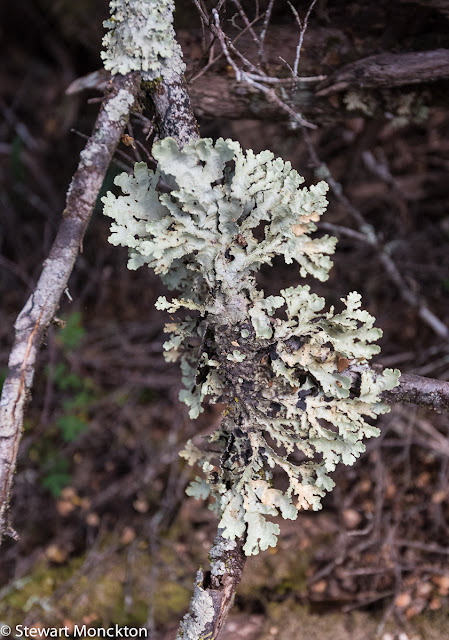 I am reminded of the time I first saw lichen...I was a young child, 5 or younger, and I lived in central British Columbia, which has a dry climate. However, my grandparents had moved from the Vancouver area, on the BC coast, to a rural area that was then still forested. 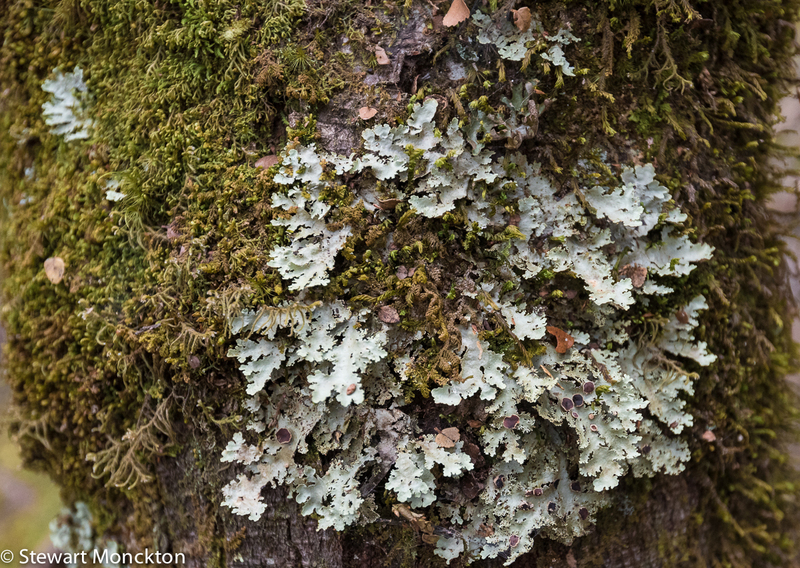 There I saw lichen and fungus on the trees, and toadstools growing on the forest floor, and I was amazed. Some of the fungi were so big that people removed them from the trees, let them dry, then painted scenery on them. Fresh clean air? What's that Stewart? Wonderful photos of nature's artistic creations! At first glance I thought it was frost.